As is tradition at the inauguration ball honoring the military, the new commander in chief and the first lady each shared a dance with a military member, as did Vice President Michael R. Pence and his wife, Karen. The president danced with Navy Petty Officer 2nd Class Catherine Cartmell, a Newport, Rhode Island native who is a religious program specialist in the Office of the Chief of Navy Chaplains. Mrs. Trump danced with Army Staff Sgt. Jose A. Medina from Ponce, Puerto Rico, a human resource specialist who is assigned to Headquarters and Headquarters Company, 4th Battalion, 3rd U.S. Infantry Regiment (The Old Guard) and served in Iraq and Afghanistan. The vice president danced with Air Force Master Sgt. Tiffany Bradbury, who was born in Pusan, South Korea and serves at Headquarters U.S. Air Force as recruiter superintendent of enlisted accessions policy. She served in Operation Southern Watch in Saudi Arabia. Mrs. Pence danced with Marine Corps Sgt. Angel Rodriguez from Camden, New Jersey, who is assigned to Marine Barracks Washington as a post supply warehouse chief and has served in Operation Enduring Freedom in Afghanistan. Service members and their families — as well as veterans, first responders, wounded warriors and Medal of Honor recipients — were among the invited guests. 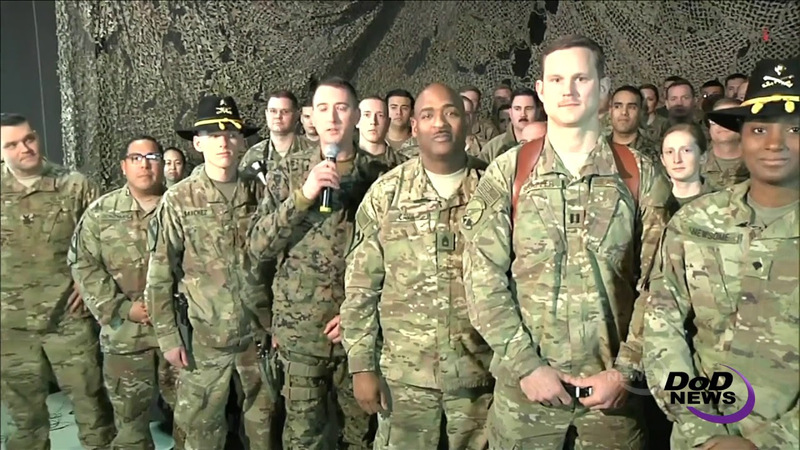 Service members at Bagram Airfield, Afghanistan, congratulate President Donald J. Trump on his inauguration during the Salute to Our Armed Services Ball, Jan. 20, 2017. Thank you for another informative website. Where else may just I am getting that type of info written in such a perfect method?